Brooklyn Deli moved half a block in downtown Spokane. They say good things come to those who wait. And while the Brooklyn Deli hasn't necessarily been waiting for anything over the past 17 years, it's certainly getting something good. The iconic deli has been tucked away in a building behind the Montvale Hotel, serving up soups and hearty sandwiches to a steady stream of regulars since 1999. But as of April 15, they've upgraded to a slick new "corner office" on the first floor of the Montvale, at the intersection of First Avenue and Monroe Street in downtown Spokane, moving just half a block north of their former spot. Scout Tavern previously occupied the space, but it closed in 2013 when the previous owners of the Montvale, who also owned the restaurants on the ground floor, filed for bankruptcy protection under Chapter 11 reorganization for the hotel. Until now, the space has remained empty. In fall of 2015, Spokane developer Jerry Dicker purchased the historic, 116-year-old Montvale in a foreclosure sale, adding to his ever-growing portfolio of local boutique hotels and restaurants. Soon after the purchase, he contacted Brooklyn Deli co-owners Jody and Mike Bonnes and invited them to move into the space. The next day, a lease agreement was negotiated and the place was theirs. 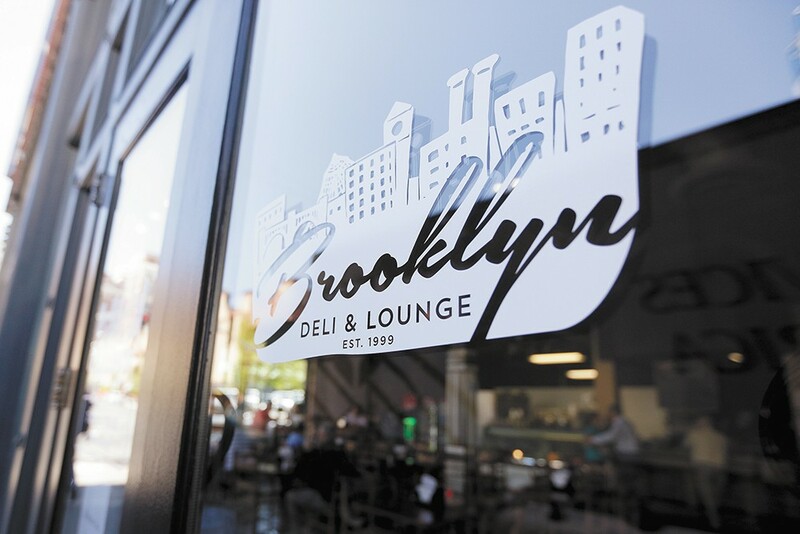 The change of location for Brooklyn Deli resulted in an expanded dining room, bar area and menu. "I've always loved the [Montvale] space," Jody says. "I just thought it would be too expensive for us." While they've gained 1,000 square feet and added an upgraded lounge and a dinner menu, they're not forgetting their roots. "We kept the feel of our deli," she says. "My customers like to interact with us, so we won't be tucked away in the kitchen. It'll still be the good old Brooklyn Deli." The Montvale is just one of many buildings and hotels in the Spokane area that Jerry and Patty Dicker have taken over in the past few years. The husband-and-wife mogul duo hopes to create a neighborhood hub that supports the arts and local restaurants and businesses. "We feel strongly that we have a lot of talented restaurant people [in Spokane] — we don't need to change anything," Patty says. "We want to create a hangout place for the widest variety of people possible — a hub that ties the community together." The Dickers' goal for this project was to fill the hotel's main floor with independent local restaurants. With the third and final restaurant space occupied, the Montvale project is complete, and they're happy to see the city's oldest hotel coming back to life. "It's a gorgeous building," Bonnes says. "Someone needed to come in here and give it some love, and I think we were the right people for it." Jody and Mike Bonnes have done most of the renovation work themselves. 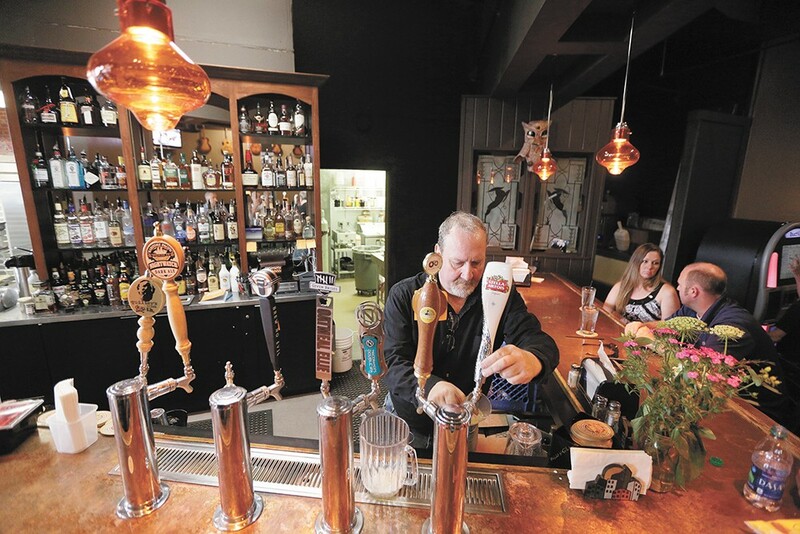 They started with the floors and worked their way up, painting, deep cleaning and remodeling the kitchen and bar, all while operating their old location. The new spot boasts exposed brick walls, high ceilings and original hardwood floors, which they've sanded and revarnished. While keeping as much of their old style as possible, they're also welcoming a variety of changes in the new restaurant. For starters, they're delving deeper into the downtown bar scene. Starting each night at 9, the lounge welcomes the 21-and-up crowd to enjoy live music and a new dinner menu of appetizers and small plates. The lounge will also display the work of rotating local artists. Spokane artist Tim Lord's bold surrealist paintings will be the first to hang on the rugged brick walls. Also gracing the walls is an array of acoustic guitars, creating the perfect vibe for a casual live music venue. Another major change for the deli is kitchen space. For years, Jody made four soups a day on a two-pot burner. With a large new stove, her morning prep will be much easier, and the menu can expand. "I actually have a kitchen to cook in now," she says. "And I have appliances to use." With more room comes more responsibility — they'll be providing hotel guests with to-go food and drinks, and they can now host groups and small events. The deli has always operated with a "skeleton crew" of just Jody, Mike and three employees, but to meet the needs of a higher seating capacity and an anticipated increase in customers, they've hired a general manager and a new chef. But the change they're most excited about is the prime location — though the move was not far, they're now much less removed from all of the downtown action.